Plus, the next update will come with some cover artwork by Scorp! Whew, it's been too long! Finally, here's an update of the fourth chapter of Echoes, which is pretty long - and the cover art that Scorp drew for the story. 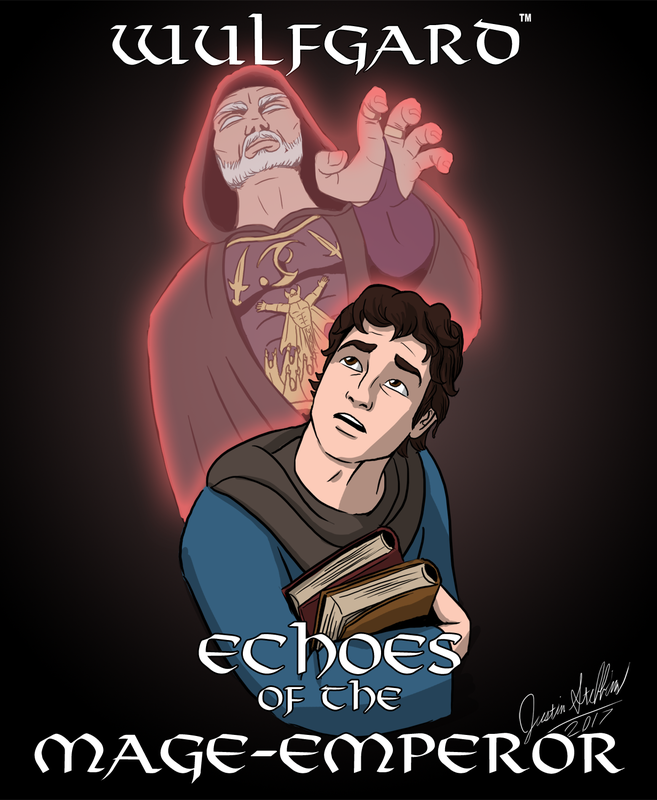 I will post one more chapter for Echoes (Chapter V), and then I'm putting the story on hold until the second installment in The Prophecy of the Six series is closer to completion. I absolutely do have plans to resume this story and resume regular updates, as I had originally arranged. I have a lot in mind for this story and its future. However, The Prophecy of the Six takes priority, as it is Wulfgard's main plot. Supporters on my Patreon can read a super long writing journal post all about Echoes, with plenty of hints of my future plans and lots of behind-the-scenes looks at the story and a whole lot more. I posted it a little while back, with a sneak peek of Chapter IV attached, as well as the cover art. Check that out here. I'm working on a blog post on my site about the update (and formally announcing the Echoes hiatus), so I'll have that up soon, as well. Hope everybody enjoys the new chapter! My Design of Ildrius influenced Scorp's version! I honestly did not see this coming, in addition to finally getting another part to this story.